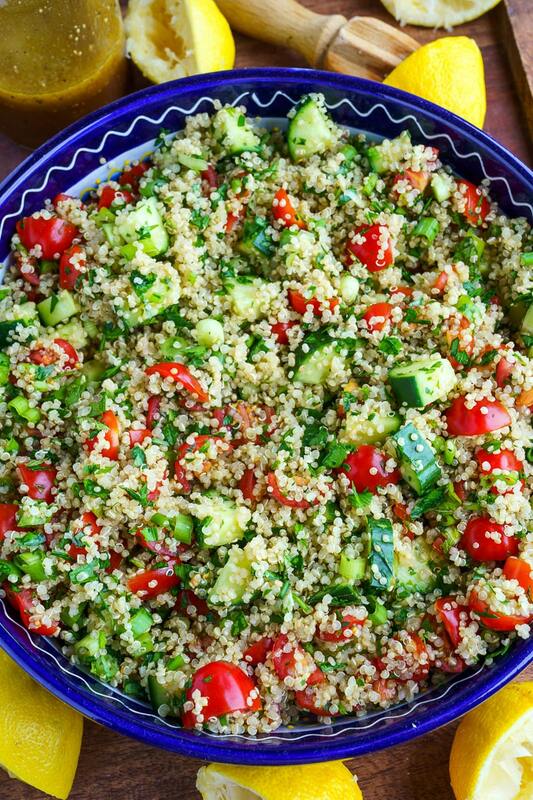 A light and fresh tabbouleh salad with quinoa, tomatoes, cucumbers and loads of fresh parsley and mint in a bright lemon dressing. 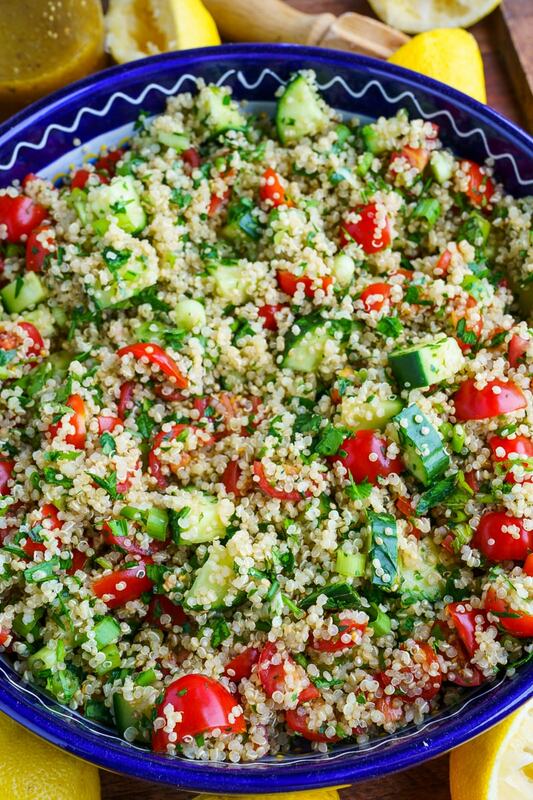 Tabbouleh is a salad made with chopped tomatoes, cucumbers, plenty of parsley, and bulgur that is dressed with olive oil, lemon juice, salt, and pepper. 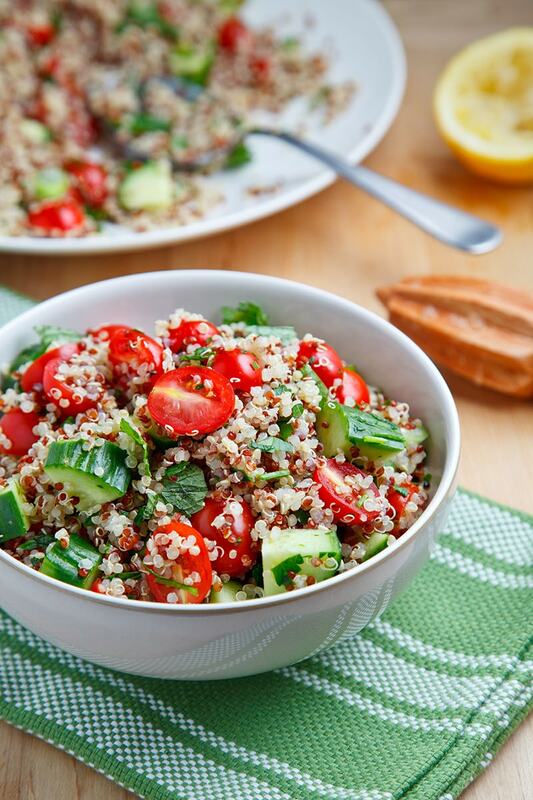 Although bulgur is the traditional ingredient in tabbouleh I sometimes like to change it up and use quinoa instead! 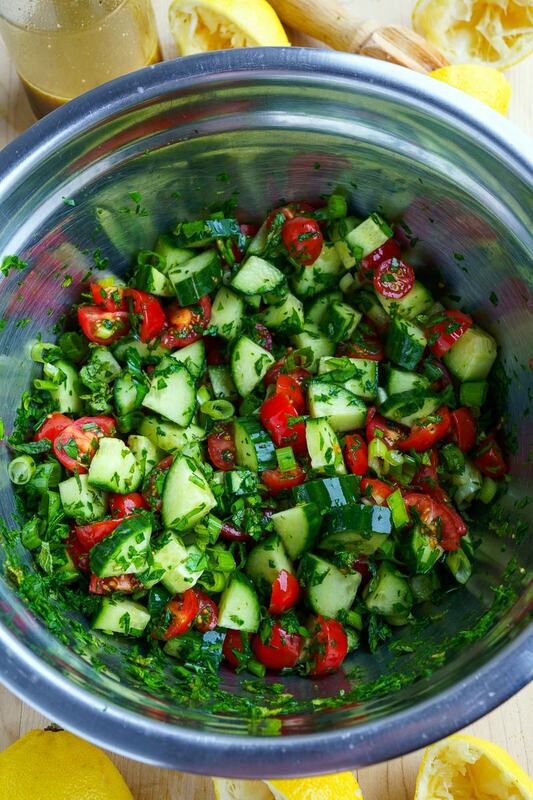 This is a super light salad that is just packed with summery freshness with all of the chopped parsley, fresh tomatoes and cucumber along with the bright lemon juice; simply perfect for hot summer days! 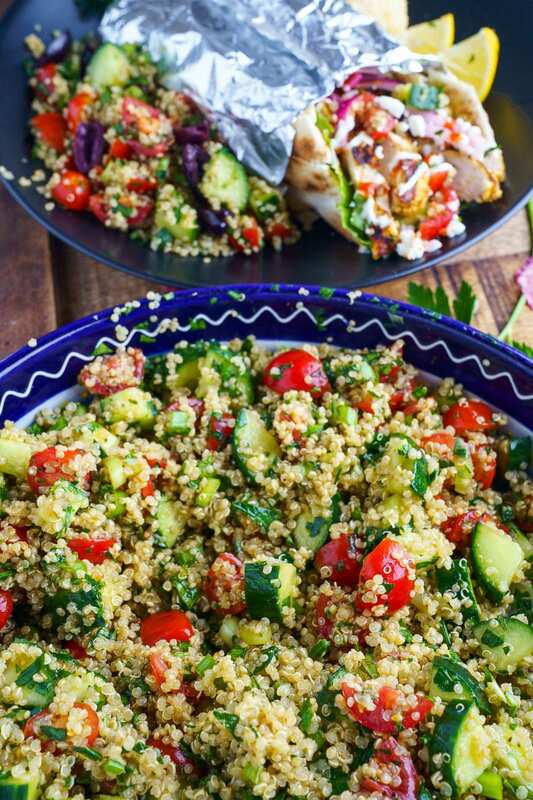 Bring the water and quinoa to a boil, reduce the heat and simmer until the quinoa is tender and the liquid has all been absorbed, about 15 minutes, before letting it sit, covered, for 5 minutes, and then letting it cool to room temperature. Mix the lemon juice, olive oil, salt and pepper and toss with salad. Option: Make a pomegranate salad dressing with 6 tablespoon olive oil, 3 tablespoons lemon juice, 3 tablespoons red wine vinegar, 2 tablespoons honey, 1 tablespoon pomegranate molasses, 1 teaspoon dijon mustard, 1 clove garlic (minced or grated), and salt and pepper to taste. This makes 1 cup and you only need about 1/4 cup for the salad.